Hey everyone! 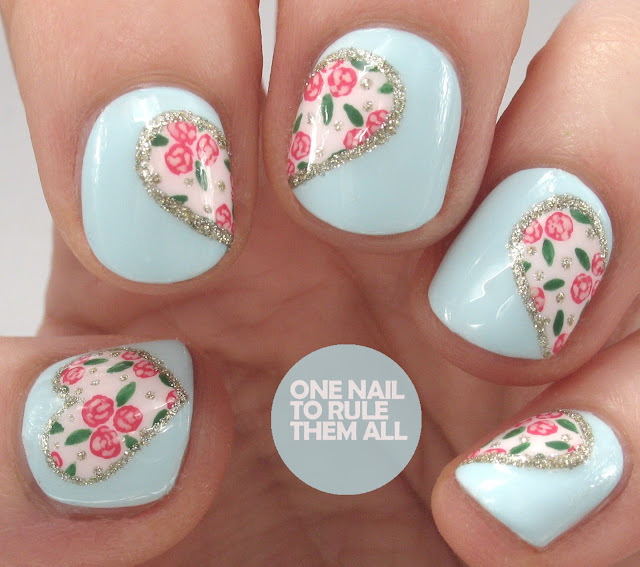 Today I have some more valentine's nail art to show you. I really like heart nail art, if you hadn't already figured that out, and I definitely don't contain creating heart designs to Valentine's day. But, it does give me an excuse to post more, and I've combined it with another favourite: florals. And another: Essie - Beyond Cozy. What could be better? If you'd like to create these yourself, or just find out more about the colours etc. I've created a tutorial over at Divine Caroline. They're actually very similar to a very old design of mine, if you want to see my awful nails from many years ago click here.